Dr. John Williams has been the Head of the Dodowa Health Research Centre (DHRC) since March, 2017. Prior to assuming the leadership of the DHRC, Dr. Williams was a Clinical Research Fellow at a sister institution, the Navrongo Health Research Centre for over sixteen years. He had his initial university education at the Kwame Nkrumah University of Science and Technology, Kumasi passing out with a Bachelor of Science degree in Human Biology in 1985 and combined Bachelor of Medicine and Bachelor of Surgery (MBChB) degree in 1988. He also holds postgraduate qualifications in Population Studies, Public Health and Genitourinary Medicine and Venereology from the Universities of Ghana (Legon), Western Cape (South Africa) and Liverpool (UK) respectively. He holds a Doctor of Philosophy (PhD) degree in Infectious and Tropical Diseases Epidemiology from the London School of Hygiene and Tropical Medicine. Dr. Williams started his medical practice at the Komfo Anokye Teaching Hospital in Kumasi where he worked for three years before taking up posting to the Regional Hospital in Sunyani in the Brong-Ahafo Region. He worked there for almost ten years rotating through various departments in the Hospital. He also served as the Medical officer in-charge of the Tuberculosis clinic in the Hospital for two years. He was also a Regional resource person for the National AIDS/STI Control Programme (NACP) in the management of HIV and other sexually transmitted diseases for several years. In the mid-nineties he also served as a national resource person for the management of Acute Respiratory Infections (ARI) in children. Dr. Williams was posted to the Navrongo Health Research Centre (NHRC) in 2000 and has since worked on several research projects. These include the Community Health and Family Planning Project, the Adolescent Sexual and Reproductive Health Project, the World Bank-sponsored Averting Preventable Maternal Mortality Project (Maternal Health Study) the EU-sponsored Qualmat Project and the EDCTP-funded Malaria in Pregnancy project among others. He was also the Principal Investigator for the USAID-sponsored Premand Project and the UNICEF-sponsored MBFHI Evaluation. Dr. Williams was a member of the Institutional Review Board of the NHRC from 2008 to 2017. He was the Chairman of the Procurement Committee of the NHRC from 2004 to 2011. He has been an Adjunct Assistant Professor at the Georgetown University in Washington since 2006 providing supervision and mentorship as a preceptor for students from that university who came on attachment to the NHRC. 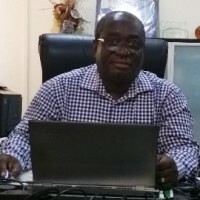 He is a member of the Ghana Medical Association and was the Divisional Chairman of the Upper East Division and member of the National Executive Council from 2003 to 2014. Dr. Williams is a member of the American Society of Tropical Medicine and Hygiene (ASTMH).